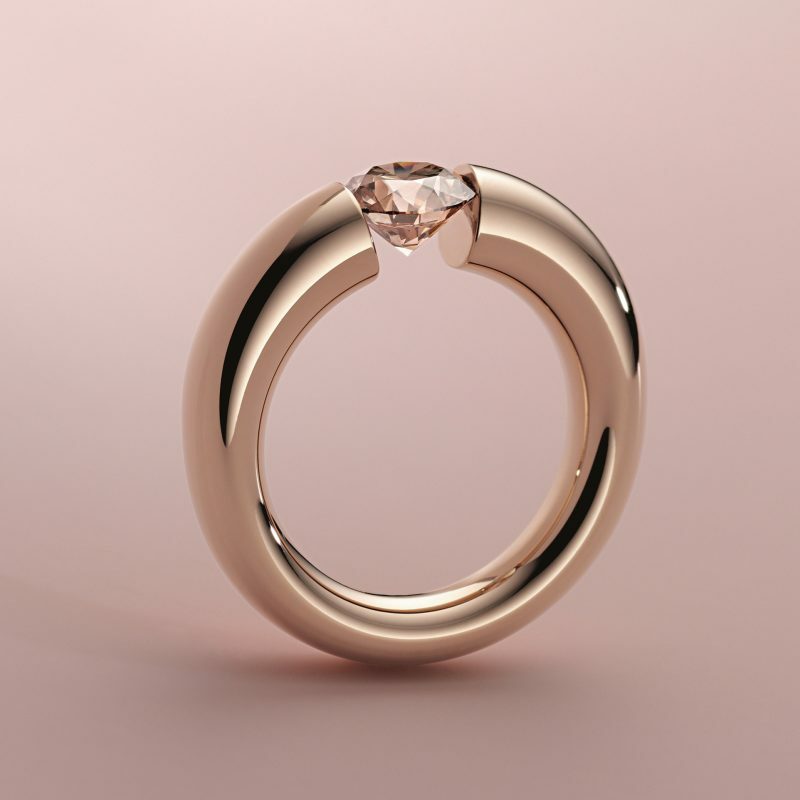 Very gently, the profile of the ring band shifts from round to oval, gradually becoming more voluminous toward the top, where the diamond sits. 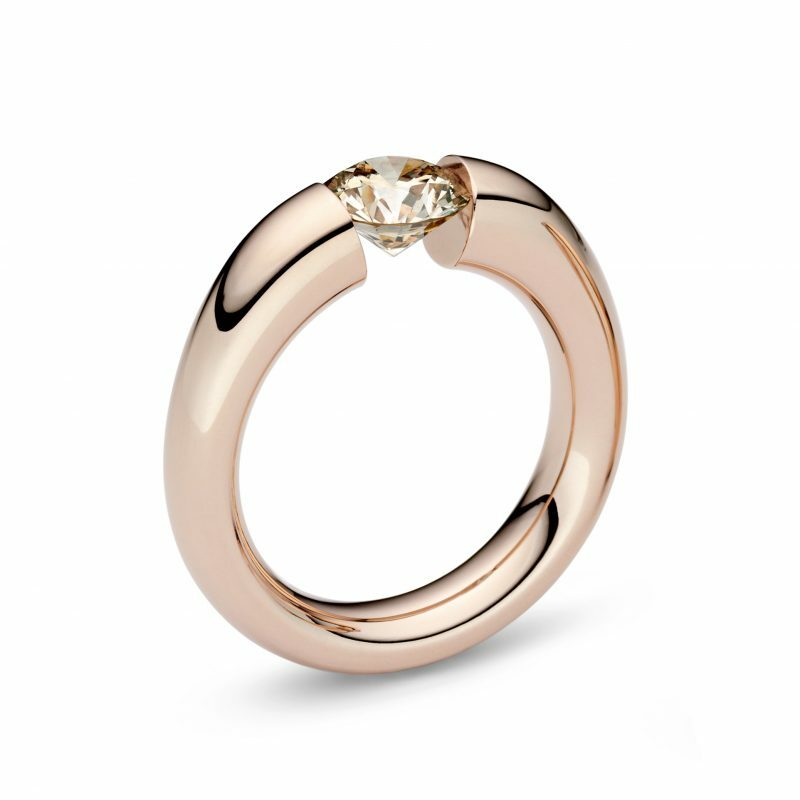 This tension ring is a perfect stage, even for larger diamonds. 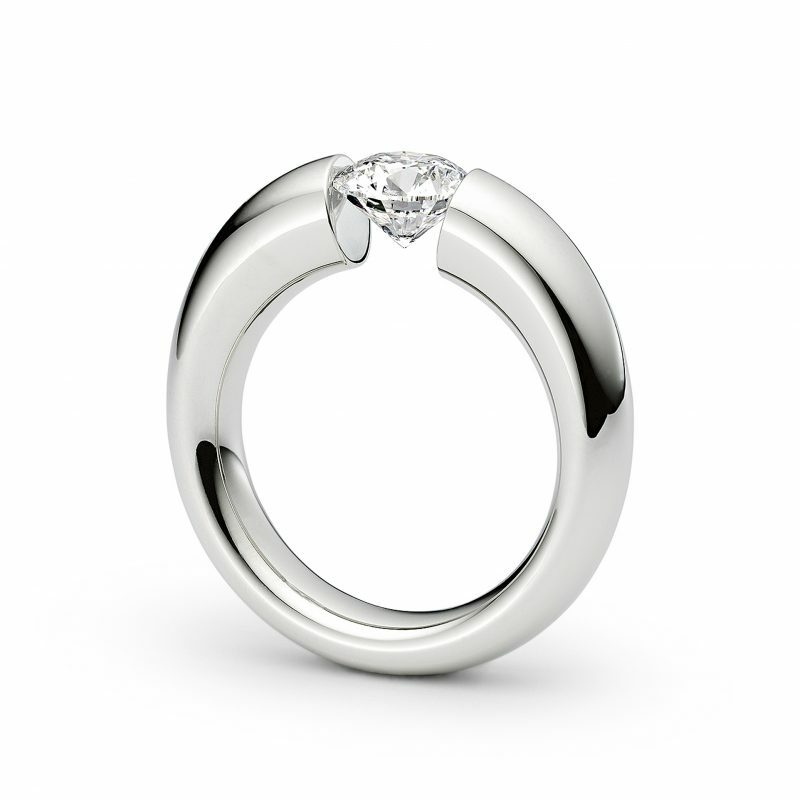 With the tension ring ‚Tapered‘ it is easy to find the exact perfect measure for you. 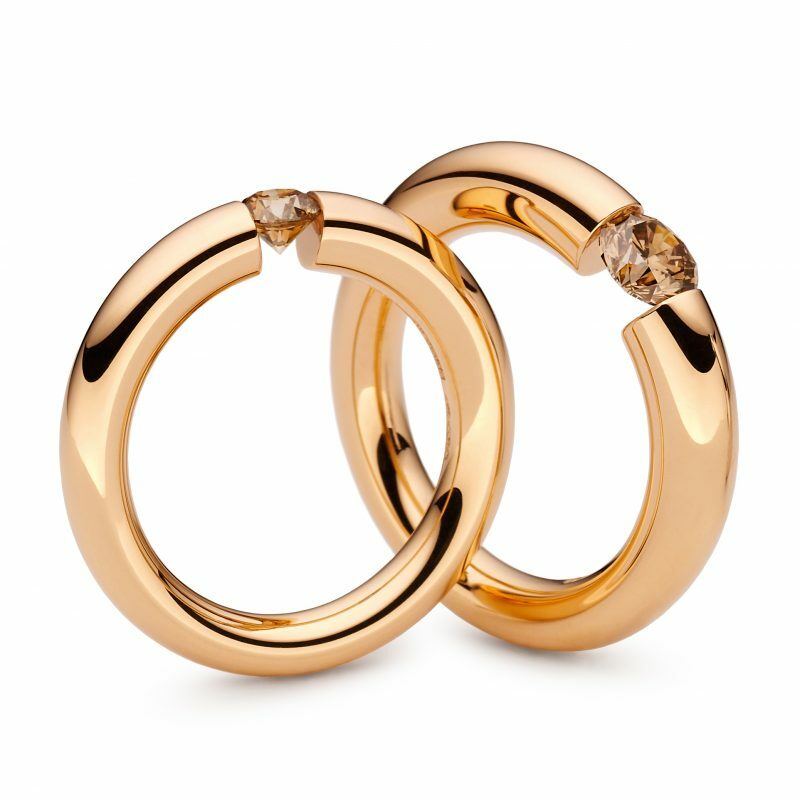 According to the size of your finger and of the diamond, this ring is individually forged to taper along your finger, so it will fit your contours perfectly. And it is also comfortable to wear, even if the ring holds a larger diamond.